As we’re getting closer to the launch of Genesis Alpha One, we’re very excited to announce that not only will you be able to send ships (called Harvesters) to planets to extract resources, but you’ll be able to join these missions yourself! Should you wish to join the mission you simply get on board the Harvester, and it will take you down to the planet’s surface where you’ll be collecting resources, uncovering secrets, collecting artefacts and weapons, and of course keeping your crew – and yourself – alive. You’ll be restricted to the landing site, however, for your own safety. You can get a glimpse of this in the above trailer. – Send out the Harvester; You’ll send out your assigned crew members to the selected planet and they will bring back resources. There’s a risk of alien infestations upon return. – Join on planetary landings; Explore the landing site on the planet, mine resources, protect your crew and get in on the action yourself. No risk of aliens infesting your Starship upon return. – Use the Tractor Beam to extract resources from Space Debris; This is the safest way to get more resources, but it is also the slowest. This comes with a risk of alien infestations upon resource arrival. Should you have any questions about planetary landings or Genesis Alpha One in general, we’d be more than happy to answer them on Twitter, Facebook, Discord, or the Steam forums. 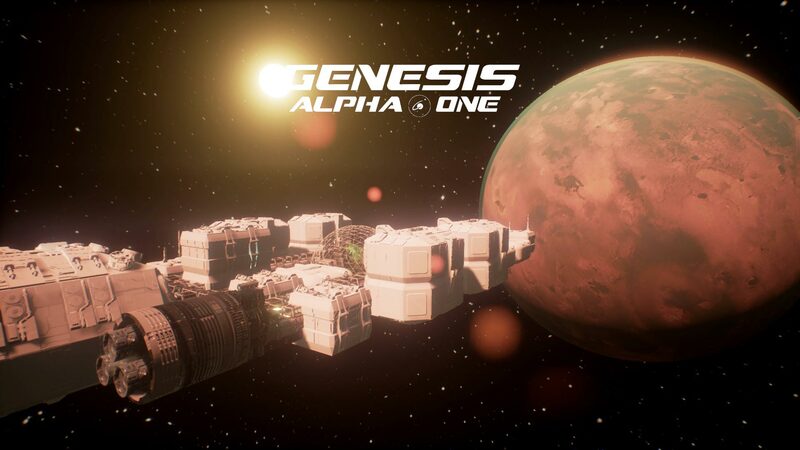 Genesis Alpha One will be available on Steam (Wishlist here), PlayStation 4 and Xbox One this summer.